Died: February 5, 1998 in Falmouth Ma. 1. 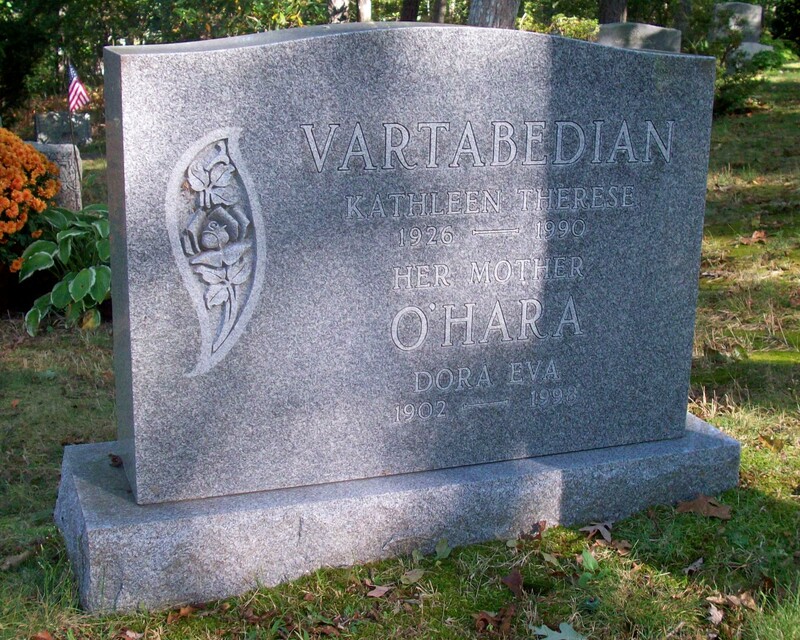 Kathleen Therese O’Hara Vartabedian; (September 28, 1926 – June 26, 1990); Married (–) Vartabedian; She is buried with her mother in Cataumet Cemetery.